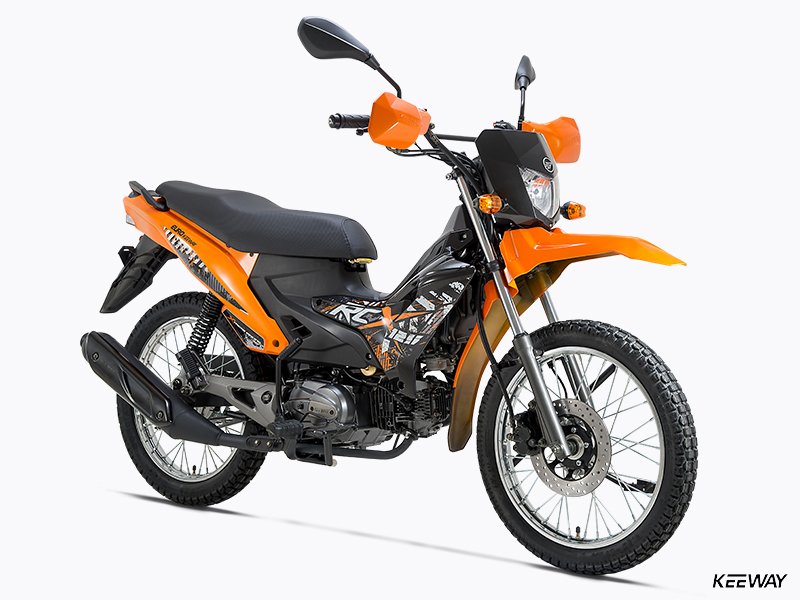 RCX 125 - Keeway Q.J. 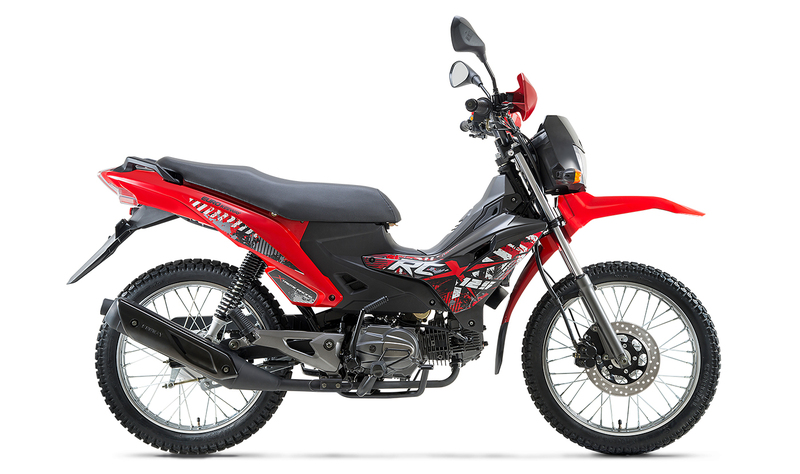 If you add a bunch of workday functionality to Keeway’s KEE 125 and RCS 125 models, you end up with the RCX 125 – a do-everything Cub-style machine with the look and feel or a real workhorse motorcycle. With styling that says “Let’s go to work” rather than “Let’s go play,” the RCX is all business, and features much of the durable foundational design found in the Kee and RCS: A durable steel frame, modern suspension with a powerful disc brake up front, a smooth and torquey four-stroke single-cylinder engine, and a comfortable riding position that’ll make those longer days on the farm or running through the city a lot easier to deal with. 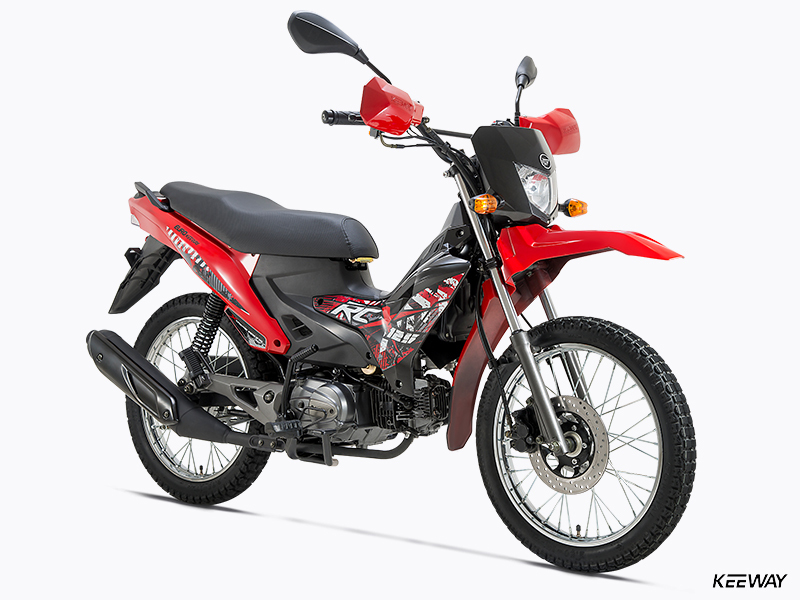 With it’s amazing fuel mileage and low purchase price, you really won’t find a better working partner than the RCX 125 from Keeway. The RCX 125’s air-cooled, single-overhead-cam four-stroke engine is both reliable and powerful, and pumps out plenty of smooth, usable power – perfect for long days on the farm or worksite. Twin shocks in back and a modern telescopic fork up front give the RCX a comfy ride, which makes those long work days in the country or city a lot more pleasant. With a comfortable two-person saddle, a roomy riding position, wide set mirrors and low-vibration ride, the RCX 125 is a happy place to spend the day. With lightweight wire-spoke wheels, grippy, semi-knobby tires, and a disc brake up front (with a drum unit in back), the RCX 125 handles and stops amazingly well.